Pat, NØADQ, was a member of a team of U.S. hams who travel to the small county of Bhutan at the end of October to participate in the inauguration of the Bhutan Amateur Radio Club and to participate in the CQ WW SSB contest. The group operated station A52A at the Bhutan ham radio center during the contest. 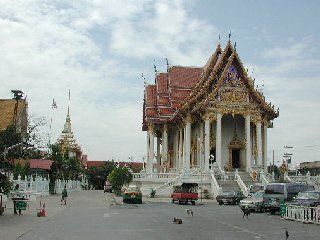 In addition to visiting Bhutan, Pat was able to spend some time in both Tokyo, Japan, and Bangkok, Thailand, during the trip. The following is a small sample of the 2,000+ digital photos taken by the team during the trip. Click on each photo to view a larger image. Team membrs about to leave Paro after their 10 day stay. 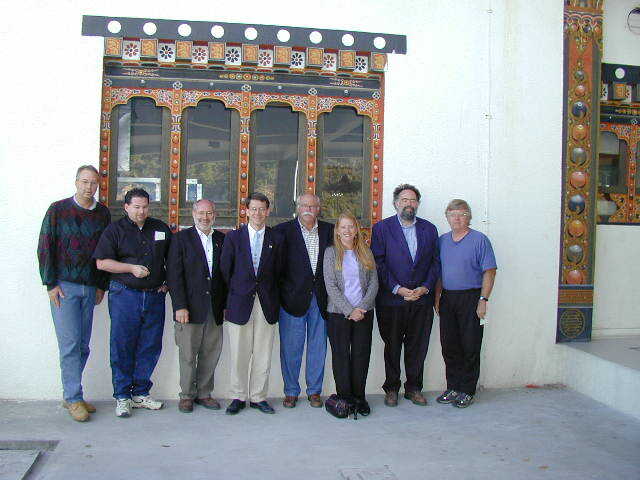 (Left to right): Dave Anderson, KW4DA (A52DA), Ray Novak KC7JPA (A52RN), Glenn Johnson WØGJ (A51B), Ken KØEN (A52ED), Steve Towle WØHT (A52HT), Pam Towle, Pat Cahill NØADQ (A52PC), Chuck Brady N4BQW (A52CB). 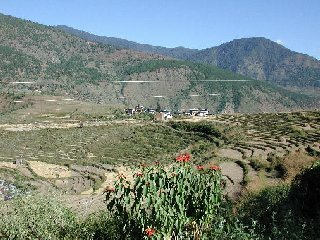 Bhutan Ham Centre building in background of photo. 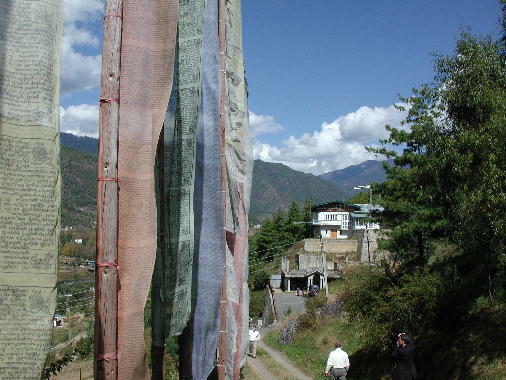 Objects in left foreground are prayer flags. Bhutan rice fields with poinsettias in the foreground. 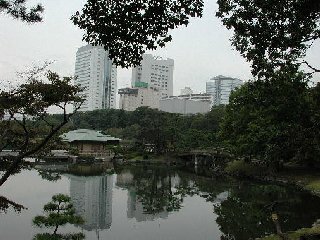 A portion of the Imperial Gardens in central Tokyo in the foreground with modern high rise buildings in the background. One of the many temples in Bangkok, Thailand.